With the launch of Windows Vista, many people are wondering if they should upgrade their computers to the new operating system. 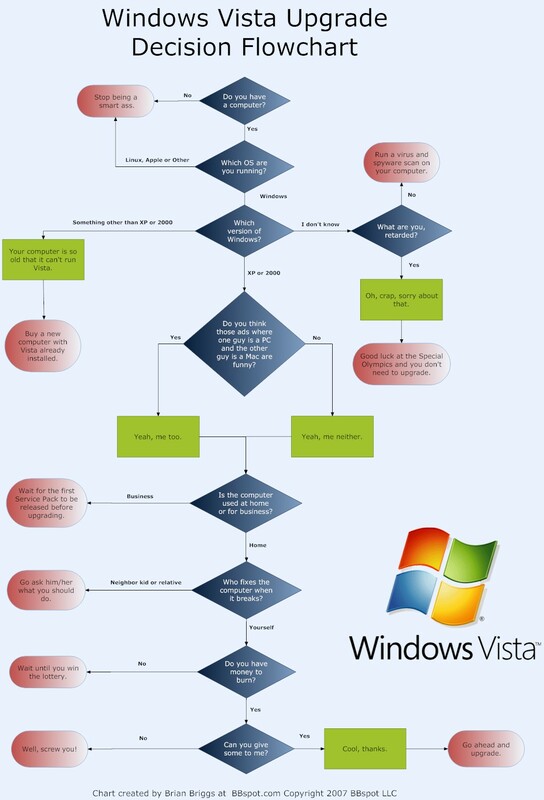 Here at BBspot we’re dedicated to offering sound technical advice to businesses and home users, so we’ve created the Windows Vista Upgrade Decision Flowchart. Use this chart to help you decide if an upgrade is right for you.